This Pilot Lit Jandy Laars 125 gas boiler is a great boiler system that uses a unique Laars Jandy copper finned heat exchanger. Quiet, economical and very efficient, it’s ability to withstand extreme hot and cold temperatures is helped by the sealed controls. The insulating materials used in it’s constructionand the smaller more economical combustion chamber , make it a lighter boiler as well as the fact it is a smaller sized boiler, it is also an extremely energy efficient boiler. This Jandy Laars 125 Gas Boiler is a high tech system that features a self diagnosistic programme, temperature control for your pool and digital setting to control your boiler and pump on an LCD display. The pilot light uses an electronic ignition, and there are reversable headers that accept PVC plumbing on either side of the boiler. All in all this is a great buy. 20 x 10 feet up to 24 x 12 feet. Price only £1899 plus shipping! 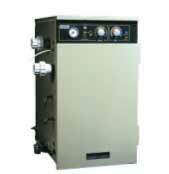 This Pilot Lit Jandy Laars 175 gas boiler is a great boiler system that uses a unique Laars Jandy copper finned heat exchanger. Quiet, economical and very efficient, it’s ability to withstand extreme hot and cold temperatures is helped by the sealed controls. The insulating materials used in it’s constructionand the smaller more economical combustion chamber , make it a lighter boiler as well as the fact it is a smaller sized boiler, it is also an extremely energy efficient boiler. This Jandy Laars 175 Gas Boiler is a high tech system that features a self diagnosistic programme, temperature control for your pool and digital setting to control your boiler and pump on an LCD display. The pilot light uses an electronic ignition, and there are reversable headers that accept PVC plumbing on either side of the boiler. All in all a great investment for you. Size 30 x 20 feet. Price only £2350 plus shipping! This Pilot Lit Jandy Laars 250 gas boiler is a great boiler system that uses a unique Laars Jandy copper finned heat exchanger. Quiet, economical and very efficient, it’s ability to withstand extreme hot and cold temperatures is helped by the sealed controls. The insulating materials used in it’s constructionand the smaller more economical combustion chamber , make it a lighter boiler as well as the fact it is a smaller sized boiler, it is also an extremely energy efficient boiler. This Jandy Laars 250 Gas Boiler is a high tech system that features a self diagnosistic programme, temperature control for your pool and digital setting to control your boiler and pump on an LCD display. The pilot light uses an electronic ignition, and there are reversable headers that accept PVC plumbing on either side of the boiler. All in all this is a great buy. And for in ground pools all year round heating size 40 x 20 feet. Price only £3450 plus shipping! This incredibly efficient Certikin Genie 35kw gas condensing pool boiler can run on either LPG or natural gas (there is a conversion kit for LPG gas). The display screen shows the temerature in either Farenheit or Centigrade, which can be made tamper proof, which can also diagnose any potential problem and indicates when a service is required. The Certikin Genie runs with a water to water heat exchanger that uses cupro nickel tubes which gives it the ability to cope well when the water balance isn’t right. 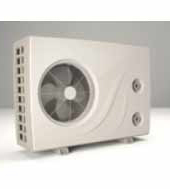 The Certikin Genie is lightweight and runs quietly and can be wall mounted with a wall mounting kit. Comes Pre plumbed complete with filling loop and none return valve. CCP Pool control panel compatible. Either left to right, or right to left connection. With condensate disposal connections to be used on either side. Up to 94% condensating efficiency. Push fit CVI Honeywell controls with can be horizontal and/or vertical up to 20m. 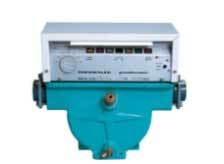 Accurate temperatures are acheived by modulating unit. Suitable for outdoor or indoor pools. Price only £2750 plus shipping! This incredibly efficient Certikin Genie 50kw gas condensing pool boiler can run on either LPG or natural gas (there is a conversion kit for LPG gas). The display screen shows the temerature in either Farenheit or Centigrade, which can be made tamper proof, which can also diagnose any potential problem and indicates when a service is required. Price only £3250 plus shipping! Fully approved to OFTEC and EC standards this Certikin 32kw oil boiler is easy to use. It comes with LCD display that has diagnostic electric controls. Fitted with a Riello burner, the Certiken oil boiler runs quitely and efficiently and is suitable for salt water pools. Easy to install, it comes pre plumbed and wired. Suitable for outdoor or indoor pools. 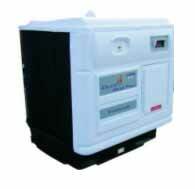 This Certikin oil boiler is also built to conform to building regulations. Price only £2950 plus shipping! Fully approved to OFTEC and EC standards this Certikin 52kw oil boiler is easy to use. It comes with LCD display that has diagnostic electric controls. Fitted with a Riello burner, the Certiken oil boiler runs quitely and efficiently and is suitable for salt water pools. Easy to install, it comes pre plumbed and wired. Suitable for outdoor or indoor pools. 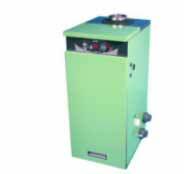 This Certikin oil boiler is also built to conform to building regulations. Price only £3500 plus shipping! Fully approved to OFTEC and EC standards this Certikin 65kw oil boiler is easy to use. It comes with LCD display that has diagnostic electric controls. Fitted with a Riello burner, the Certiken oil boiler runs quitely and efficiently and is suitable for salt water pools. Easy to install, it comes pre plumbed and wired. Suitable for outdoor or indoor pools. This Certikin oil boiler is also built to conform to building regulations. Price only £3950 plus shipping! The Waterco 16kw pool heat pump is 1 phase. As with all of the Waterco heat pumps it’s features include: Digital control panels, top mounted fans, an auto defrost setting, a flow switch that switches off when there isn’t a water flow, a heat exchanger that uses titanium. This allows heat exchange to occur without the risk of corrosion, making the heat exchange efficient. The refridgerant gas is compliant to UK and European standards and the housing unit is UV protected and weatherproof. The Waterco heat pump also uses a scroll compressor which has a protection time delay. Price only £2650 plus shipping! The Waterco 21kw pool heat pump is 1 phase. As with all of the Waterco heat pumps it’s features include: Digital control panels, top mounted fans, an auto defrost setting, a flow switch that switches off when there isn’t a water flow, a heat exchanger that uses titanium. This allows heat exchange to occur without the risk of corrosion, making the heat exchange efficient. The refridgerant gas is compliant to UK and European standards and the housing unit is UV protected and weatherproof. The Waterco heat pump also uses a scroll compressor which has a protection time delay. The Waterco 25kw pool heat pump is 1 phase. As with all of the Waterco heat pumps it’s features include: Digital control panels, top mounted fans, an auto defrost setting, a flow switch that switches off when there isn’t a water flow, a heat exchanger that uses titanium. This allows heat exchange to occur without the risk of corrosion, making the heat exchange efficient. The refridgerant gas is compliant to UK and European standards and the housing unit is UV protected and weatherproof. The Waterco heat pump also uses a scroll compressor which has a protection time delay. The Waterco 31kw pool heat pump is 1 phase. As with all of the Waterco heat pumps it’s features include: Digital control panels, top mounted fans, an auto defrost setting, a flow switch that switches off when there isn’t a water flow, a heat exchanger that uses titanium. This allows heat exchange to occur without the risk of corrosion, making the heat exchange efficient. The refridgerant gas is compliant to UK and European standards and the housing unit is UV protected and weatherproof. The Waterco heat pump also uses a scroll compressor which has a protection time delay. Price only £3850 plus shipping! The Waterco 16kw sub zero heat pump is works on a single phase. As with all of the Waterco heat pumps it’s features include: Digital control panels, top mounted fans, an auto defrost setting, a flow switch that switches off when there isn’t a water flow, a heat exchanger that uses titanium. This allows heat exchange to occur without the risk of corrosion, making the heat exchange efficient. The refridgerant gas is compliant to UK and European standards and the housing unit is UV protected and weatherproof. The Waterco heat pump also uses a scroll compressor which has a protection time delay. With the sub zero pump, it is able to work as low as 0 degrees centigrade, although this will preferably be around 5 degrees centigrade. 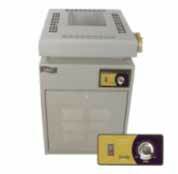 It uses a hot-gas defrost system and is able to work during low temeratures. This sub zero Waterco heat pump enables a pool to be operational for longer in colder conditions. The Waterco 25kw sub zero heat pump is works on a single phase. As with all of the Waterco heat pumps it’s features include: Digital control panels, top mounted fans, an auto defrost setting, a flow switch that switches off when there isn’t a water flow, a heat exchanger that uses titanium. This allows heat exchange to occur without the risk of corrosion, making the heat exchange efficient. The refridgerant gas is compliant to UK and European standards and the housing unit is UV protected and weatherproof. The Waterco heat pump also uses a scroll compressor which has a protection time delay. Price only £4300 plus shipping! The DPL 14kw pool heat pumps is a single phase electrical supply. The housing unit is anti corrosive and it also has a titanium heat exchange which is also anti-corrosive. This heat pump has a digital control panel and a refrigerant pressure gauge. The type of refrigerant gas used helps the heat pump run more efficiently. The heat pump can be plumbed into the left or right side and it uses a rotary compressor and runs quietly. We chose to supply this heat pump for it’s excellent performance. Price only £1950 plus shipping! The DPL 29kw pool heat pumps is a single phase electrical supply. The housing unit is anti corrosive and it also has a titanium heat exchange which is also anti-corrosive. This heat pump has a digital control panel and a refrigerant pressure gauge. The type of refrigerant gas used helps the heat pump run more efficiently. The heat pump can be plumbed into the left or right side and it uses a scroll compressor and runs quietly. We chose to supply this heat pump for it’s excellent performance. This is a solar thermal system, using the sun to heat up your pool water. 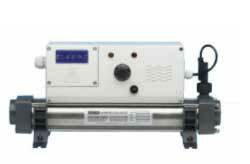 Solar vacuum tubing is a great way to save on your heating costs. The water is heated in the tubes and collects in a reservoir/storage tank above the panel and the warm water rises into the tank. During winter a gas heater can be used to top up the heat. The tubes are coated in a special light modulated coating in order to absorb as much heat as possible. All in all a great investment. This is an excellent and versatile way to heat your pool. 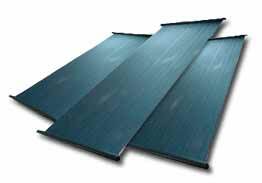 There are many advantages to choosing solar matting as a method for heating your pool. Unlike conventional solar panels this far easier to use because it rolls up like any matting. The material is known as EPDM and it is a great product to use for swimming pools because of it’s durabilty under weather conditions. With ordinary rubber matting, it might become brittle, but this is quite hard wearing and a lot less susceptable to damge from colder weather. This pool solar matting contains small tubes that are designed to absorb heat. When it’s not used it’s lightweight, so can simply be rolled up and stored away. Price dependant on size of pool – Please Call. 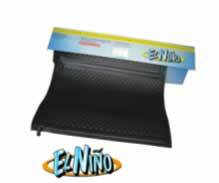 The El Nino Pool splasher is a fantastic, economical way to heat your above ground pool. Simple to set up and it’s said this product will pay for itself in less than a year. The way it works is simple: A cold water pipe, or pipes, runs water through the matting. The heat absorbs the water once inside the mat and the warm water goes through a tube and into the pool. This product is very cheap to run and you can use your existing water pump.The water is heated to a comfortable temperature, which means during a typical sunny day, the pool can be used for longer and when not in use can be rolled up and put away. For a basic kit, all that is required is a small amount of hose pipe. Price only £105 plus shipping! The 3kw Elecro Coil pool heater is easy to install. It features an integral contactor relay, a control thermostat and a seperate safety thermostat. It is pre-wired and even has a super sensitive flow switch. It’s safe coupling means it can be used for Intex, Fast Set type splasher pools. All that’s needed is a final connection to a mandatory separate RCD. No pump interlock is required and its comes with a 1½” BSP female threaded adapter so is easy to connect to rigid pipework. Or alternatively for flexible pipework a hose tail adapter is supplied too. Price only £355 plus shipping! 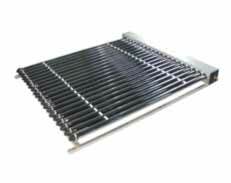 The 6kw Elecro Coil pool heater is easy to install. It features an integral contactor relay, a control thermostat and a seperate safety thermostat. It is pre-wired and even has a super sensitive flow switch. It’s safe coupling means it can be used for Intex, Fast Set type splasher pools. All that’s needed is a final connection to a mandatory separate RCD. No pump interlock is required and its comes with a 1½” BSP female threaded adapter so is easy to connect to rigid pipework. Or alternatively for flexible pipework a hose tail adapter is supplied too. The 9kw Elecro Coil pool heater is easy to install. It features an integral contactor relay, a control thermostat and a seperate safety thermostat. It is pre-wired and even has a super sensitive flow switch. It’s safe coupling means it can be used for Intex, Fast Set type splasher pools. All that’s needed is a final connection to a mandatory separate RCD. No pump interlock is required and its comes with a 1½” BSP female threaded adapter so is easy to connect to rigid pipework. Or alternatively for flexible pipework a hose tail adapter is supplied too. Price only £595 plus shipping! The 12kw Elecro Coil pool heater is easy to install. It features an integral contactor relay, a control thermostat and a seperate safety thermostat. It is pre-wired and even has a super sensitive flow switch. It’s safe coupling means it can be used for Intex, Fast Set type splasher pools. All that’s needed is a final connection to a mandatory separate RCD. No pump interlock is required and its comes with a 1½” BSP female threaded adapter so is easy to connect to rigid pipework. Or alternatively for flexible pipework a hose tail adapter is supplied too. Price only £520.83 plus shipping! This Thermalec 7.5kw Electric Coil pool heater is wired for single phase, but can be adapted into a 3 phase and are supplied with an adaptor. It is a British made product and has a unique operating system. The thermostat has a sensor that measures the temperate and control it to within 1 degrees C. When water passes through the fiter at high velocity it doesn’t actually hit any of the heating elements. Instead it is sent around the base of the element and deflected by baffles. The advantage of using this clever patented system (the spiral flow method), means that as water bypasses the element element any debris or scale build up is very low, meaning lower maintenance costs to you. Price only £950 plus shipping! This Thermalec 12kw Electric Coil pool heater is wired for single phase, but can be adapted into a 3 phase and are supplied with an adaptor. It is a British made product and has a unique operating system. The thermostat has a sensor that measures the temperate and control it to within 1 degrees C. When water passes through the fiter at high velocity it doesn’t actually hit any of the heating elements. Instead it is sent around the base of the element and deflected by baffles. The advantage of using this clever patented system (the spiral flow method), means that as water bypasses the element element any debris or scale build up is very low, meaning lower maintenance costs to you. Price only £1100 plus shipping! This Thermalec 15kw Electric Coil pool heater is wired for single phase, but can be adapted into a 3 phase and are supplied with an adaptor. It is a British made product and has a unique operating system. The thermostat has a sensor that measures the temperate and control it to within 1 degrees C. When water passes through the fiter at high velocity it doesn’t actually hit any of the heating elements. Instead it is sent around the base of the element and deflected by baffles. The advantage of using this clever patented system (the spiral flow method), means that as water bypasses the element element any debris or scale build up is very low, meaning lower maintenance costs to you. Price only £1500 plus shipping! This Thermalec 18kw Electric Coil pool heater is wired for single phase, but can be adapted into a 3 phase and are supplied with an adaptor. It is a British made product and has a unique operating system. The thermostat has a sensor that measures the temperate and control it to within 1 degrees C. When water passes through the fiter at high velocity it doesn’t actually hit any of the heating elements. Instead it is sent around the base of the element and deflected by baffles. The advantage of using this clever patented system (the spiral flow method), means that as water bypasses the element element any debris or scale build up is very low, meaning lower maintenance costs to you. Price only £1595 plus shipping! This Thermalec 21kw Electric Coil pool heater is wired for single phase, but can be adapted into a 3 phase and are supplied with an adaptor. It is a British made product and has a unique operating system. The thermostat has a sensor that measures the temperate and control it to within 1 degrees C. When water passes through the fiter at high velocity it doesn’t actually hit any of the heating elements. Instead it is sent around the base of the element and deflected by baffles. The advantage of using this clever patented system (the spiral flow method), means that as water bypasses the element element any debris or scale build up is very low, meaning lower maintenance costs to you. Price only £1695 plus shipping! This Thermalec 24kw Electric Coil pool heater is wired for single phase, but can be adapted into a 3 phase and are supplied with an adaptor. It is a British made product and has a unique operating system. The thermostat has a sensor that measures the temperate and control it to within 1 degrees C. When water passes through the fiter at high velocity it doesn’t actually hit any of the heating elements. Instead it is sent around the base of the element and deflected by baffles. The advantage of using this clever patented system (the spiral flow method), means that as water bypasses the element element any debris or scale build up is very low, meaning lower maintenance costs to you. Price only £1795 plus shipping!